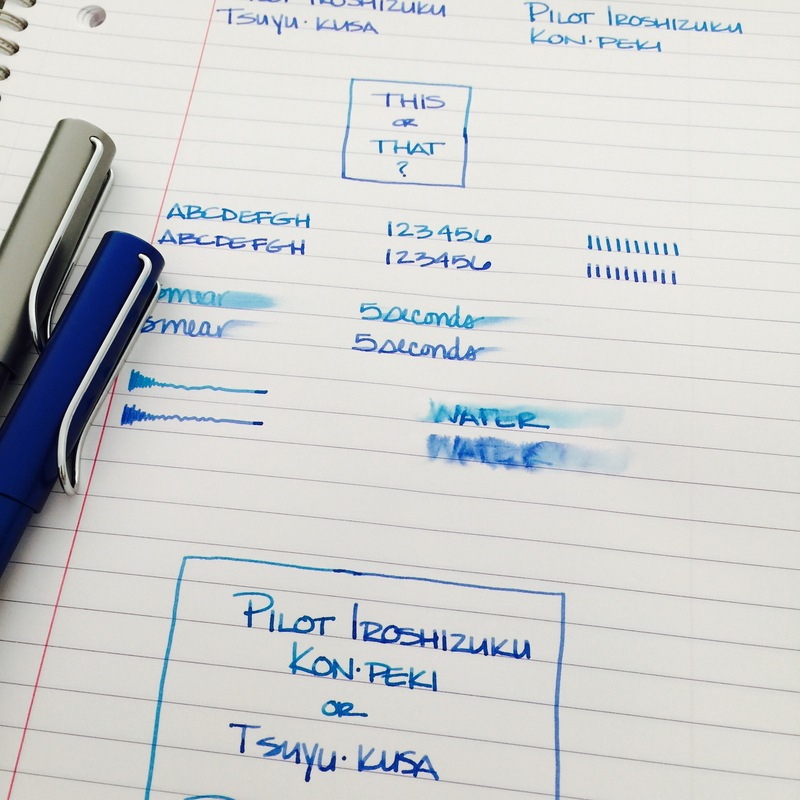 Pilot Iroshizuku Kon-peki or Tsuyu-kusa? Kon-peki is on top. It’s so popular. I bought it long ago without trying the sample first. But Tsuyu-kusa? I’m not even sure how to pronounce it. I first tried it earlier this month when an Instagram friend asked how it compares to Kon-peki. 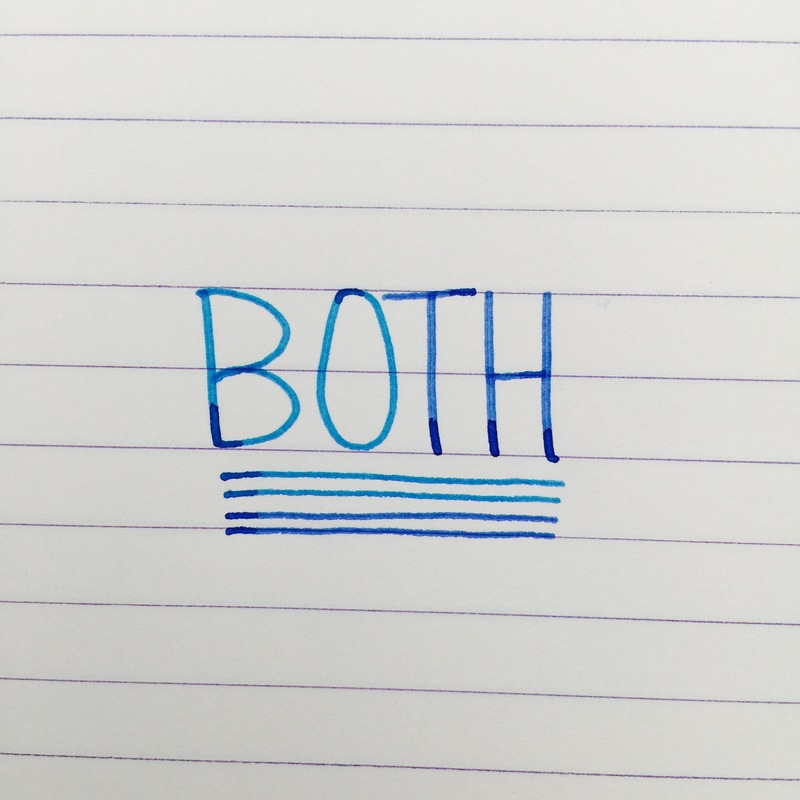 Both are really pretty and have a little shading. 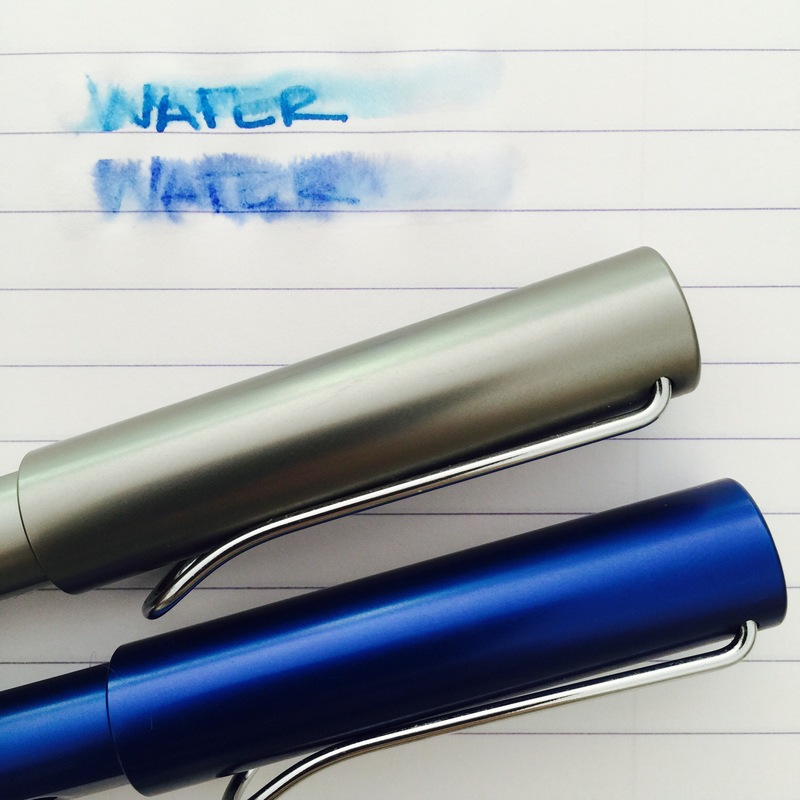 They write wonderfully (as do all of the Iroshizuku inks I’ve tried). Kon-peki leans toward turquoise. Tsuyu-kusa is a warmer, more rich blue color. Neither is particularly water-resistant (I let things dry for about five minutes before swabbing with a good amount of water). Here’s a better look at them . . . So. 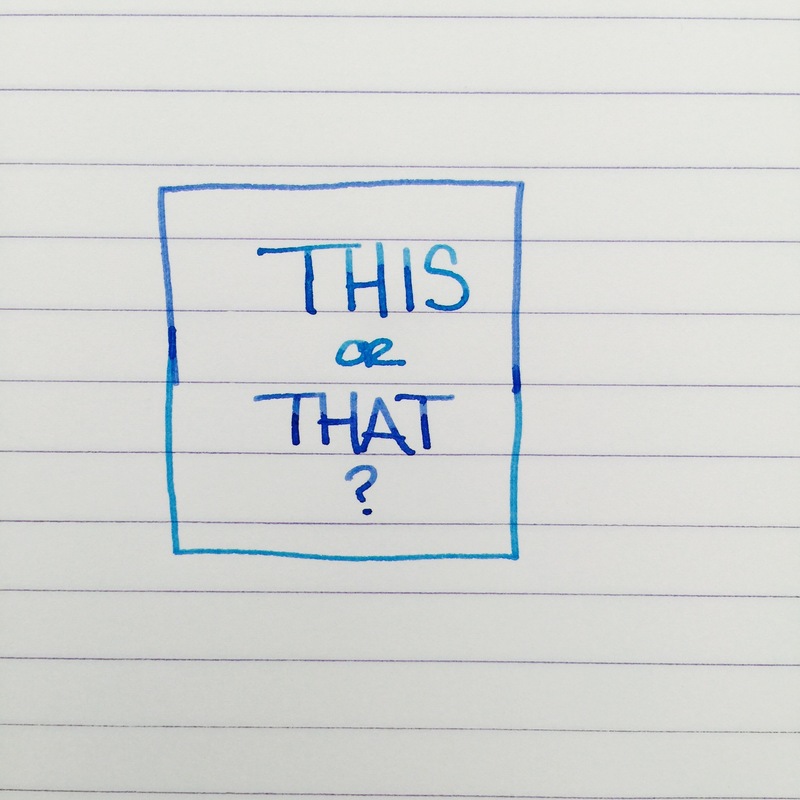 Which will it be for you? I’m choosing . . . 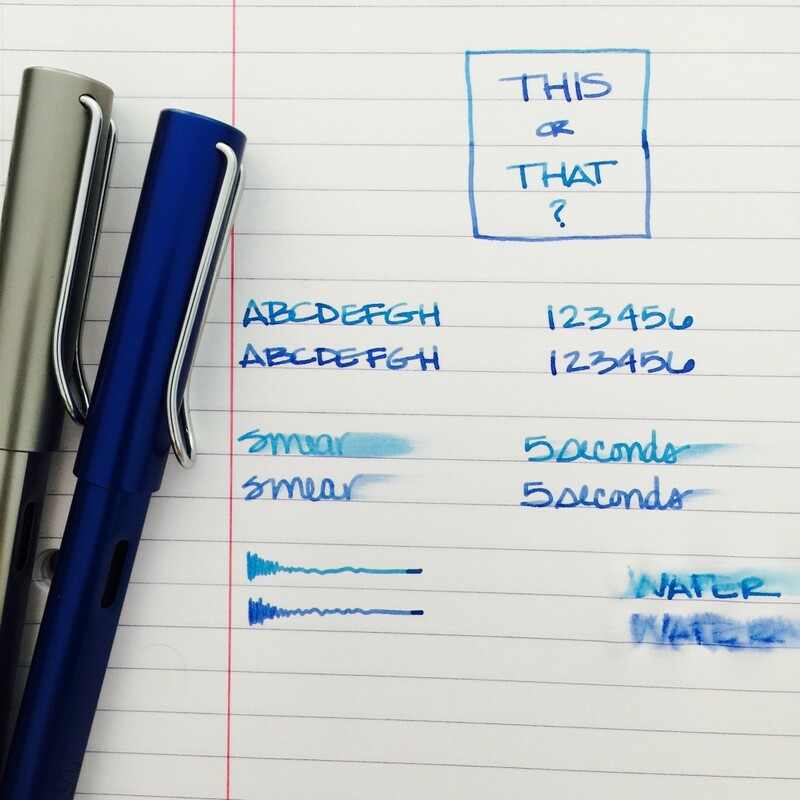 This entry was posted in INKS and tagged blue, ink review, pilot iroshizuku, this or that by Christine (Pentulant). Bookmark the permalink. The problem here is: They look so good together! Thanks for the review! May I ask what nib size you used on the Safaris?